NEW YORK, NY - November 11, 2016 - Baruch College was named a “Military Friendly” school by Victory Media, originator of the Military Friendly employment, entrepreneurship and education resources for veterans and their families. This designation singles out Baruch College for its support of the military community. 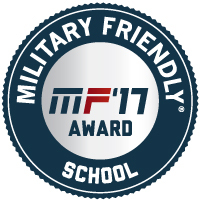 The School also received high ratings in two key categories: 90% in “Academic Policies & Compliance” 73% in “Culture & Commitment.” These ratings reflect the extent to which each institution exceeds the benchmark standards for Military Friendly. Published since 2003, the list of schools are assessed through the evaluation of an institution’s public data along with data obtained through the organization’s survey. Schools taking the survey are held to a higher standard than in previous years via improved methodology, criteria, and weightings developed with the assistance of an independent research firm and an advisory council. Baruch College is a senior college in the City University of New York (CUNY) with a total enrollment of more than 18,000 students, who represent 164 countries and speak more than 129 languages. Ranked among the top 15% of U.S. colleges and the No. 5 public regional university, Baruch College is regularly recognized as among the most ethnically diverse colleges in the country. As a public institution with a tradition of academic excellence, Baruch College offers accessibility and opportunity for students from every corner of New York City and from around the world. For more about Baruch College, go to http://www.baruch.cuny.edu/.